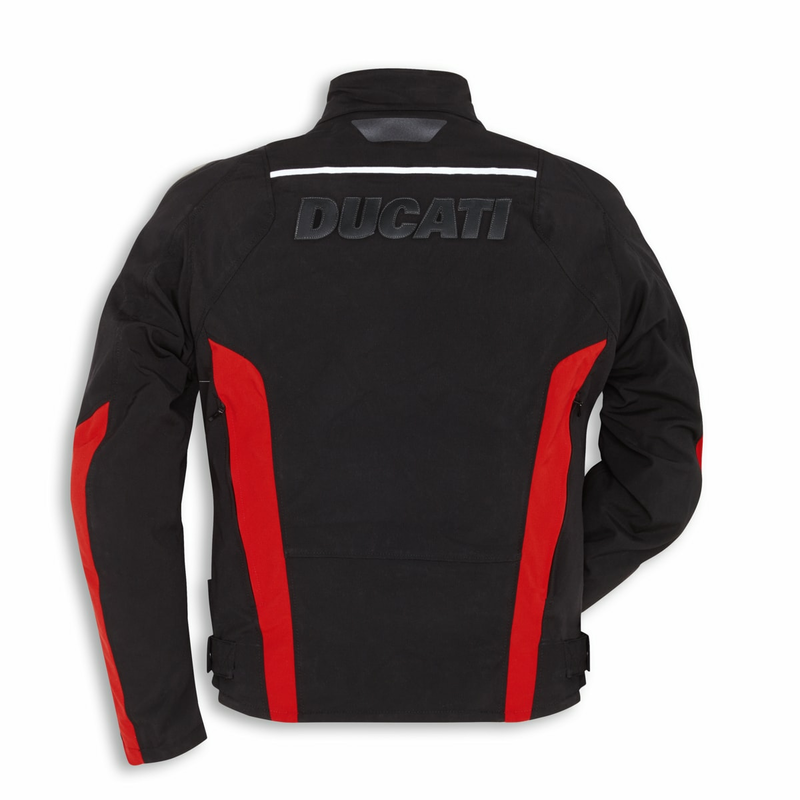 The Ducati Corse C4 fabric jacket, which is available in male and female variants, is designed for sport-touring use. 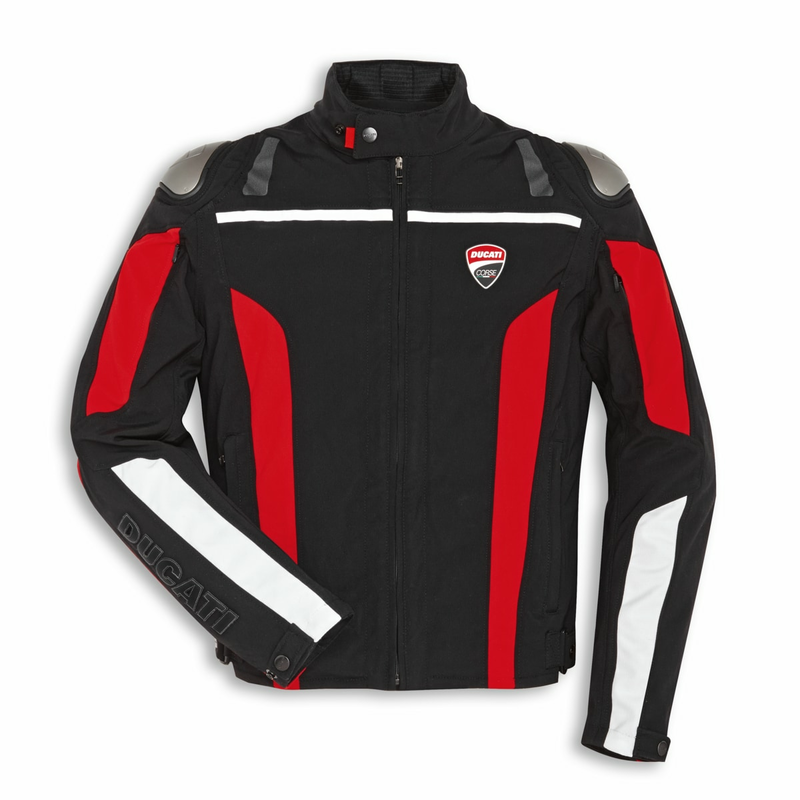 Designed by Aldo Drudi and developed in collaboration with Dainese, this high-quality CE certified garment is made from Cordura® Comfort material, a water and oil repellent fabric that is slightly elastic and provides for exceptional riding comfort. 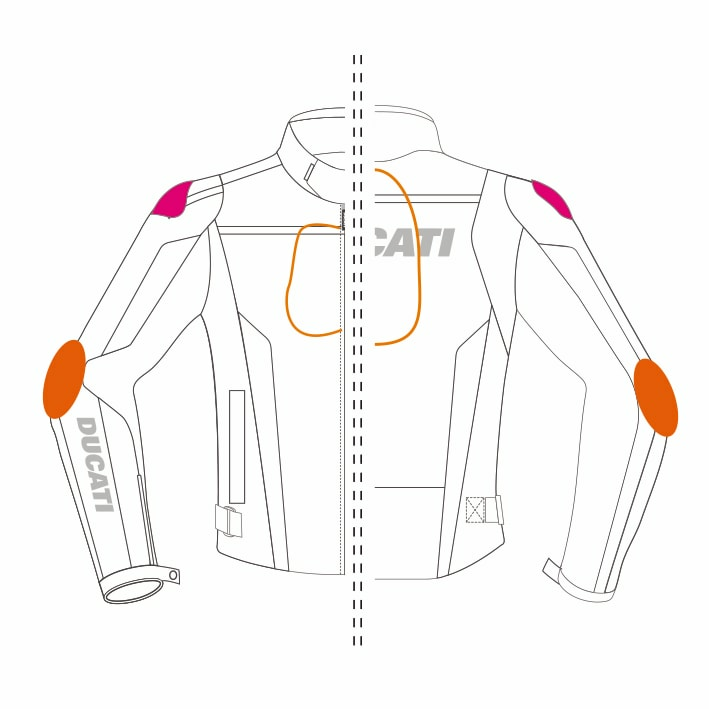 It comes equipped with protectors on the shoulders and elbows, and is predisposed for the insertion of a chest protector (men's version only) and a Wave or Manis G back protector. The removable thermal lining, the air vents and the D-Dry® waterproof and breathable membrane allow it to be used under a wide range of climatic conditions. Replaceable molded aluminum inserts (item 981043028).